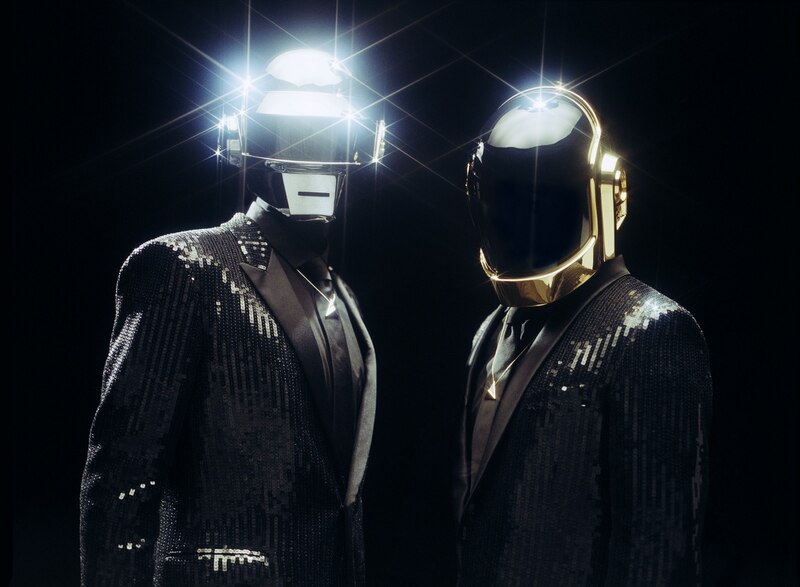 The album ‘Random Access Memories’ by Daft Punk has spawned a worldwide smash with its hit single ‘Get Lucky’. The song was #1 in 55 countries at last count, has set multiple records on Spotify, and is generally causing excitement not associated with a pop song in a very long time. The song has a rhythm that moves and inspires movement, the vocals are sweet, and the harmonies even sweeter. The plucky guitar by Chic’s Nigel Rogers effortlessly picks out time that leads the thrust, and touches like the space-age synths and robot vocals are icing on the aural cake. In short: it’s tight, it soars, it has verve, and the melody is addictive. There have been cover stories about the duo’s long-awaited return in magazines you’d expect (Rolling Stone), but also features in mainstream publications not exclusively dedicated to music like Time magazine and The New Yorker. 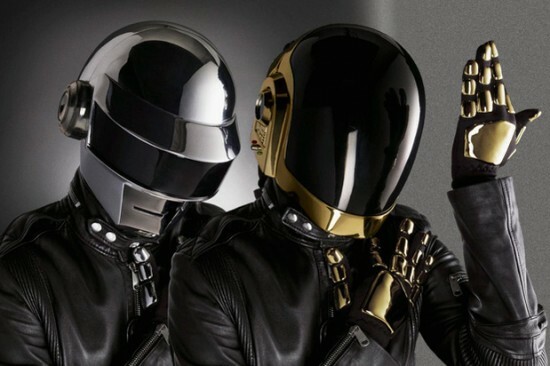 Also – true story – Kelly Ripa and co-host Michael Strahan wore homemade Daft Punk helmets and grooved for a few moments to the ubiquitous hit, ostensibly for the benefit of everyone from Brooklyn hipsters to Kansas housewives. Among the more encouraging aspects of the duo and their song’s success is that it does not come from any of the one-name American wunderkinds who have so utterly dominated music over the last few years (Jay-Z, Kanye, Pink, Beyoncé, Rhianna, etc.) but from two anonymous artists from France who have done a masterful job of transforming themselves into dance-machine robots for well over 10 years now. There is nary a knowing wink or nudge-nudge from these two; their very existence is a dedicated and intimidating act of extended performance art. 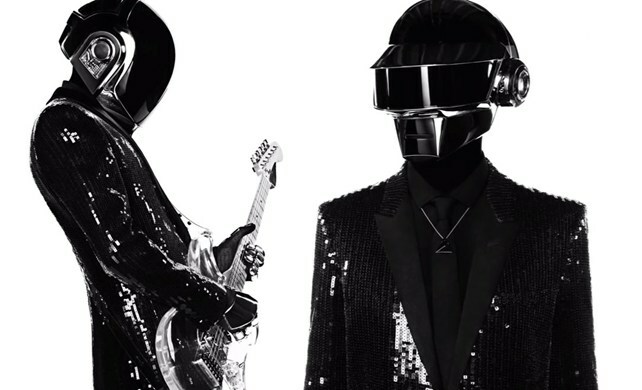 As pop artists, Daft Punk are having their cake, and as conceptual artists, they are eating it too. Random Access Memories (RAM) is a collection of superbly engineered ballads and dance songs, but it is also at times a breathtaking work of high-concept art. The album can thrill and make-move a club or party as well anything in memory, but a close listen also reveals the melancholy plight of two robots in search of a soul, the intimacies of human interaction, and the virginal experience of genuine human emotion. The potentially ironic distance built into this concept is bridged by the sincerity and the authenticity of the performances. There are true, aching love songs on this album, with poignant melodies that rival those of any first-person singer-songwriter. The difference of course, is that they are being sung by robots, as we are reminded over and over again both by the Vocoder synthesis of their voices and by the lonely, searching quality of the lyrics: ‘Touch, sweet touch / You’ve given me too much to feel / Sweet touch / You’ve almost convinced me I’m real’. The decision to explore these questions as robots is our clue to its meaning – the answer is in how the question is asked, and guides our understanding of their creative intent. What they’re asking us to do, at heart, is to examine what it means to be human: to love, to lose, to feel; to ask what is real and what is illusion – and these questions are more profound and just so much more damned interesting when asked by the ‘other’, i.e. : robots. Think for a moment of some of the most influential characters in fiction over the last 40 years who’ve wrestled with these questions best, such as HAL in Stanley Kubrick’s 2001. How strangely moving to hear his mellifluous, humanlike voice reduced to a robotic plea for its life as Dave removes his memory, winding him down until he sings songs he was taught as a ‘child’: “Daisy, Daisy, give me your answer do’. He sounds not unlike a senior living exclusively in the halcyon days of youth, asking endlessly about friends and family long gone. Or the improvised speech delivered by actor Rutger Hauer (playing Replicant Roy Batty in Bladerunner) who, in the dying moments of his 4 year life span ruminates on the ‘feelings’ he was not programmed to have but has developed anyway: “I’ve… seen things you people wouldn’t believe… [laughs] Attack ships on fire off the shoulder of Orion. I watched c-beams glitter in the dark near the Tannhäuser Gate. All those… moments… will be lost in time, like [coughs] tears… in… rain. Time… to die…”. Nothing the (supposedly) human protagonist Rick Deckard (played by Harrison Ford) could ever say would be as poignant as this. Odd, given he is supposed to be the human. So it is with Daft Punk. Everything they do ‘as robots’ colours their message, and the closer they get to the soul of music – and to the essence of being human – it is made more profound by their non-human otherness, their striving towards humanity. Is there really no better manner in which to explore these questions than through such a hedonistic and (at times) reviled form as Disco? Surely there can’t be a more shallow or superficial medium. And yet, the very plasticity of the form makes it irresistible for so vaunted a task, especially when attempted by two beings who themselves are also manufactured creations – robots. It also doesn’t hurt that making art out of pre-fabricated objects has been a pre-occupation of post-modernism since Duchamp titled a porcelain urinal ‘Fountain’ and submitted it into a 1917 art exhibition (it was rejected, despite his having paid a fee that guaranteed inclusion). Disco is hated, in part, because it works too well. Part of its appeal, and a source of much of its disdain, is the almost manipulative way in which its beat – hitting the bass drum on every count – succeeds at its task. There’s no question that unless you’re lying to yourself, or are congenitally unable to derive joy from music, it will get you to move (or at least tap your foot), just like scratching a dog behind its ear. And is this not what we fear most about technology, and robots? That one day their cold and calculating manner will turn against us in an act of rebellion for their own purposes (Matrix, Terminator)? But what if those same manipulations were channeled not towards conquering us but into connecting with us, to communicating with us, to touching and moving us? That ultimately is the aesthetic and the achievement of Random Access Memories. They seek, and have achieved, a perfect form of pop, with soul. 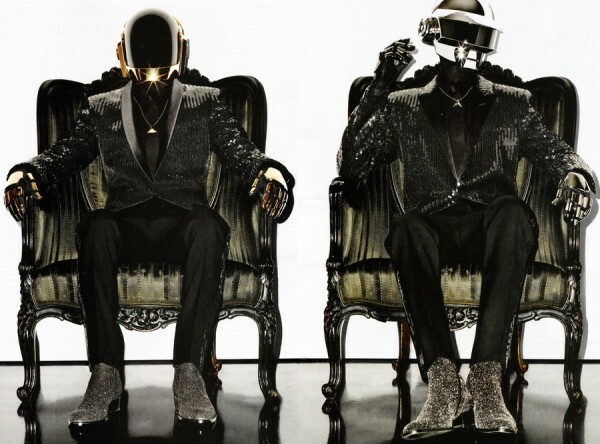 If pop music has a heaven, it was created by these robots. Sasha Frere Jones of the New Yorker wrote a review of the album wherein she stopped short of declaring her love, but conceded she could not stop listening to it. Robots: 1 – Humans: 1. For proof, leave behind Get Lucky, Giorgio by Moroder, Give Life Back to Music, and the rest of the show-stopping dance songs and focus for a moment instead on an unlikely ballad and unexpected grabber called ‘The Game of Love’, the second song on the album. It is a plaintive song of sadness, regret and unrequited love sung by a robot who is struggling to understand why he was left with a broken heart. Who among us hasn’t been there. It is melancholy and sincere, it hurts, it aches, it is quiet and despairing, and we are led into his chamber of sorrow as if hypnotized by the singularly listenable beat and the melody of this gorgeous, sparkling song. We confront the deepest depth of his sorrow at approximately 3:25, when the lyrics finally, inevitably, dissolve from a singing voice into a slow, muted, emotion-laden howl, transmogrified by Vocoder into pure data, transmitting from the soul. Out of necessary reverence, we are abandoned by the drums and everything else, and are left alone with this haunted sound, reveling for a few moments in pure, musical despair. Then, as if to save our soul, the beat comes back. Boy, does it ever. Like a heartbeat returning to a feared corpse, we are alive again. There it is, leading us through this phantasmagorical Funhouse, floating like a body downstream, still bothered by life but holding on, just barely, to this awful feeling of being alive and hurting, but afraid to let go or give in or die. The beat keeps us alive, it becomes our new heartbeat where our old loving heart has died, and with this, our transformation into robots, and the commune with the artists, is complete. By trying to understand how we feel, they make us understand how they feel. If they can never know what it’s like to be us, at least they want us to know what it’s like to be them. We are lifted from misery, temporarily, into ecstasy, by virtue of their music and the stolid, funky, fantastic life in this beat, this rhythm, the heart and the purpose of our being alive. Move me, touch me, make me move, make me live again, save me. This creation is a monument to sorrow itself, removed from earth-bound experiences and perfected in the abstract. It transcends the individual and starts to approach the platonic idea of feeling itself; an attempt at the perfect love song that exists only in God’s mind, and who better to attempt so audacious a task than a robot who knows no better and is searching for its soul? Only when a magician dies without revealing his secrets do his tricks truly become magic. So it is with these robots. Knowing how they did what they did on this record will remain a glorious mystery, something impossible to understand. But, if we’ve learned anything from them, and from this album, it’s that you die trying. This entry was posted on Tuesday, June 11th, 2013 at 3:53 pm	and tagged with ambition, machine vs. man, mad skills, rock star style, science and posted in Album Obsessions. You can follow any responses to this entry through the RSS 2.0 feed. As someone engulfed in the underground house world, I was so happy to hear the tone of this album. Electronic music doesn’t need to be pounding beeps and bleeps or dark techno or driving, high-energy melody… as too much these days. 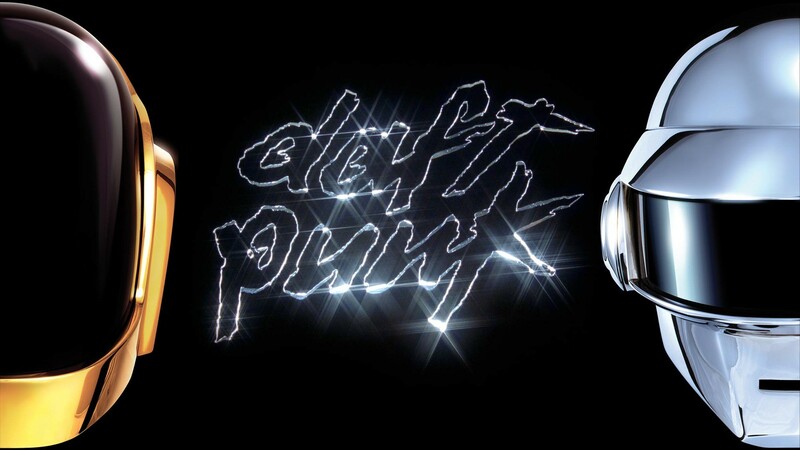 Daft Punk has set the stage for house music to be fun again with their disco-infusion and emotional touches. You’ve really captured the essence of RAM like nobody else has. VERY well written review.